The 2013 Atlantic hurricane season, which forecasters had predicted would be more active than normal, has turned out to be something of a dud so far as an unusual calm hangs over the tropics. As the season heads into the historic peak for activity, it may even enter the record books as marking the quietest start to any Atlantic hurricane season in decades. “It certainly looks like pretty much of a forecast bust,” said Jeff Masters, a hurricane expert and director of meteorology at the Weather Underground (www.wunderground.com). “Virtually all the (forecast) groups were calling for above-normal hurricanes and intensive hurricanes and we haven’t even had a hurricane at all, with the season half over,” he said. With records going back to 1851, Dennis Feltgen, a spokesman for the U.S. National Hurricane Center, said there had been only 17 years when the first Atlantic hurricane formed after Sept. 4. The all-time record was set in 1905, he said, when the first hurricane materialized on Oct. 8. In an average season the first hurricane shows up by Aug. 10, usually followed by a second hurricane on Aug. 28 and the first major hurricane by Sept. 4. 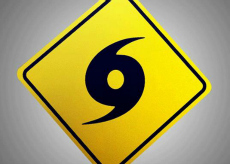 Since the dawn of the satellite era in the mid-1960s, Feltgen said the latest date for the first hurricane to arrive was set by Gustav when it made its debut on Sept. 11, 2002. If this year’s first hurricane comes anytime after 8 a.m. EDT (1200 GMT) on Wednesday, it would replace Gustav as the modern-day record holder, Feltgen said. Seven named storms have been spawned by the 2013 season so far, including Fernand, which killed 13 people in central Mexico late last month. Most of the storms have been small, weak systems, however, proving an embarrassment to experts who had predicted an active season in reports that are eagerly awaited by the insurance and energy industries as well as many coastal homeowners. “Statistical models can generally reasonably well replicate hurricane activity … but there are always going to be years when you bust,” said Phil Klotzbach, a Colorado State University climatologist who heads a team that issues one the most closely watched long-range hurricane forecasts. “We issue our final seasonal forecast in early August. But if we did put out a mid-season update, I would certainly back down from the prediction considerably,” he said. Colorado State University slightly lowered its seasonal forecast on Aug. 2. But it still said 2013 would see above-average activity, with eight hurricanes and three that develop into major hurricanes of Category 3 or higher on the five-step Saffir-Simpson intensity scale. Other prominent forecasts, including the National Oceanic and Atmospheric Administration (NOAA), were predicting an “above normal” season last month. An average season has six hurricanes. The jury is still out on what exactly has put such a damper this year over the Atlantic basin and the Caribbean, where tens of millions of people live in hurricane danger zones. Tuesday marks the statistical “peak day” of the season, which runs from June 1 through Nov. 30, and researchers say significant amounts of dry air and wind shear have helped keep a lid on hurricane formation. The El Nino weather phenomenon – a warming of the tropical Pacific – which is part of the mix of unstable ingredients that can affect hurricane formation, is also not a factor this year, making the lack of storm activity harder to explain. “It’s certainly a head scratcher,” said Masters, who said he thought wind shear had been near normal this year and warmer than average sea temperatures in the Atlantic favored storms. Forecasters say a system expected to emerge off the coast of Africa may strengthen into a hurricane by early next week. But whatever happens in the coming days, Feltgen cautioned it was still too early to write off 2013 as a year when tropical weather was unpredictable. “We are at mid-point of the six-month hurricane season,” he said. “It is a mistake to believe that the second half of the season would resemble the first half,” he said.